If a change in staff occurs, a charter school must complete this Staffing Update Form. All staffing updates must be reported, which includes teacher exits, new teacher hiring, and current teachers’ credential status changes (i.e. addition of, or expiration of credential). For general information on the credentialing process, please consult the guides above. The Alameda County Office of Education (ACOE) graciously offers credential processing assistance to OUSD Charter Schools. Please note that ALL requests, must be accompanied by a completed Request for Credential Assistance Form. All individual applicants requesting credential assistance must make an appointment by calling the Credentials Office at (510) 670-4542 or (510) 670-4264. 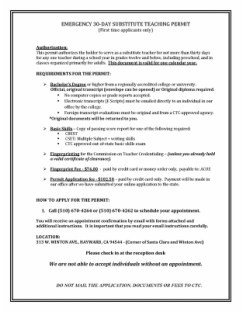 Applicants who qualify for California preliminary credentials, based on an out of state program, must contact the ACOE office directly. Emails will be answered within 48 hours and responses will contain a request for additional information or an application checklist. 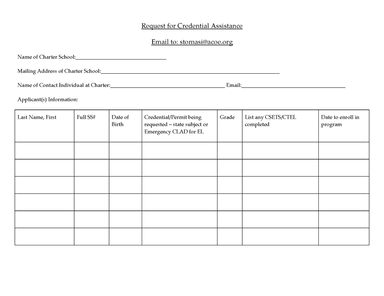 Charters will then send completed applications to the ACOE Credentials Office, along with a copy of ACOE’s email response/checklist and the appropriate documentation. Applications will be processed in the order received, within 2 weeks. All applications sent without the ACOE email/checklist will be returned to the Office of Charter Schools and not processed. The applicant requirements for the PIP and STSP are exactly the same with one difference. Any applicant who has passed their subject matter exams DOES NOT qualify for a PIP. STSPs are valid for the current school year only and the PIP is valid for one calendar year. Both are non-renewable.